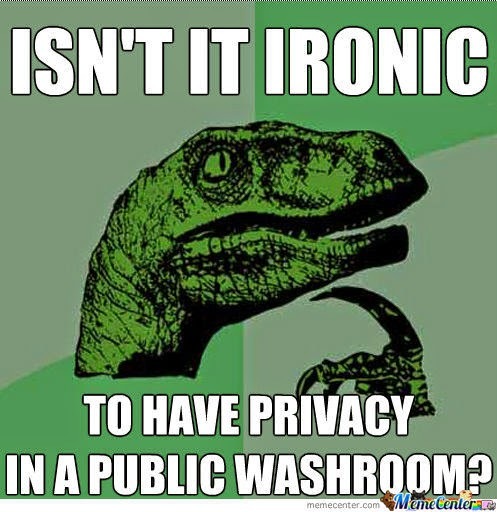 Maybe it's because I'm a guy and so have used public men's rooms (which typically don't even have a divider between the urinals) but I think it's just the expectation of privacy in public washrooms that's ironic. Where Does He Stick The Alcohol And Tobacco? Where Do You Think You're Putting That Hand?